For patients with suspected opioid-induced constipation, start by taking a careful history of defecation and dietary patterns, stool consistency, incomplete evacuation, and “alarm symptoms,” such as bloody stools or weight loss, state new guidelines from the American Gastroenterological Association in Gastroenterology. Clinicians also should rule out other causes of constipation, such as pelvic outlet dysfunction, mechanical obstruction, metabolic abnormalities, and comorbidities or concurrent medications, wrote Seth D. Crockett, MD, MPH, of the University of North Carolina at Chapel Hill, together with his associates. The guideline was published online Sept. 1. Opioid therapy can lead to a range of gastrointestinal symptoms, such as constipation, gastroesophageal reflux, nausea and vomiting, bloating, and abdominal pain. Among these, constipation is by far the most common and debilitating, the guideline notes. In past studies, 40%-80% of patients who received opioids developed opioid-induced constipation (OIC), a more severe presentation that involves a combination of reduced stool frequency in addition to other symptoms, such as harder stools, new or worsening straining during defecation, and a sense of incomplete rectal evacuation. Treating OIC should start with lifestyle interventions, such as drinking more fluids, toileting as soon as possible when feeling the urge to defecate, and adding regular moderate exercise whenever tolerable, the guideline advises. For patients on oral or parenteral therapy, consider switching to an equianalgesic dose of a less-constipating opioid, such as transdermal fentanyl or oxycodone-naloxone combination therapy. Many patients with OIC require interventions beyond lifestyle changes or opioid switching. For these patients, the guideline advises starting with conventional laxative therapies based on their safety, low cost, and “established efficacy” in the OIC setting. Options include stool softeners (docusate sodium), osmotic laxatives (polyethylene glycol, magnesium hydroxide, magnesium citrate, and lactulose), lubricants (mineral oil), and stimulant laxatives (bisacodyl, sodium picosulfate, and senna). “Of note, there is little evidence that routine use of stimulant laxatives is harmful to the colon, despite widespread concern to the contrary,” the guideline states. Although randomized, controlled trials have not evaluated particular laxative combinations or titrations for OIC, the best evidence supports stimulant and osmotic laxative therapy, the authors note. 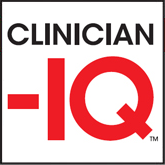 Before deeming any case of OIC laxative refractory, ensure that a patient receives an adequate trial of at least two classes of laxatives administered on a regular schedule, not just “as needed,” the guideline specifies. For example, a patient might receive a 2-week trial of a daily osmotic laxative plus a stimulant laxative two to three times weekly. The guideline authors suggest restricting the use of enemas to rescue therapy. They also note that consuming more fiber tends not to help patients with OIC because fiber does not affect colonic motility. For truly laxative-refractory OIC, the guidelines recommend escalating treatment to peripherally acting mu-opioid receptor antagonists (PAMORAs). These drugs restore the function of the enteric nervous system by blocking mu-opioid receptors in the gut. Among the PAMORAs, the guideline strongly recommends the use of naldemedine or naloxegol over no treatment, based on robust data from randomized, double-blind, placebo-controlled trials. In the phase 3 COMPOSE 1, 2, and 3 trials, about 52% of patients who received naldemedine achieved at least three spontaneous bowel movements per week, compared with 35% of patients who received placebo. Additionally, in a 52-week safety and efficacy study (COMPOSE 3), naldemedine was associated with one more spontaneous bowel movement per week versus placebo and with a low absolute increase in adverse events. The guideline bases its strong recommendation for naloxegol on moderate-quality data from three studies, including two phase 3, double-blind, randomized, placebo-controlled trials. Although at least five randomized, controlled trials have evaluated methylnaltrexone, the evidence was low quality and therefore the guideline only conditionally recommends prescribing this PAMORA over no treatment.